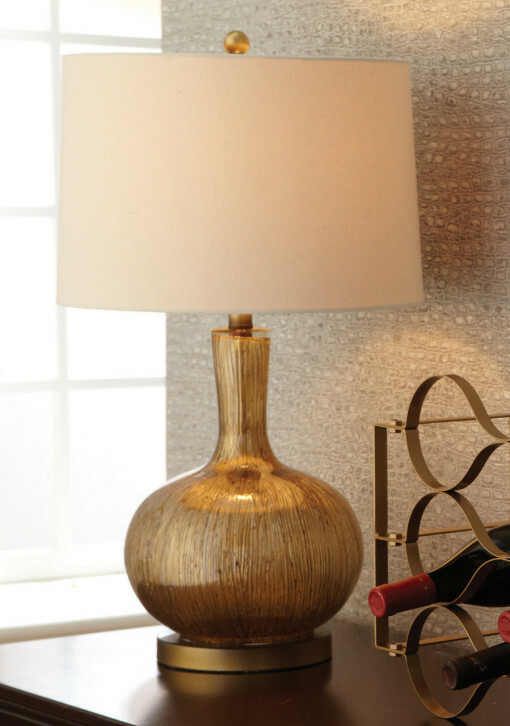 The picture looks good, but in person this lamp is even more fabulous! 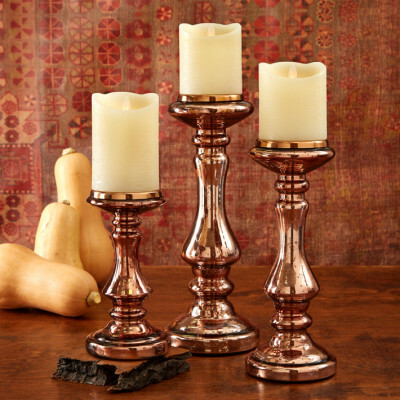 It’s the perfect lamp for rooms that require warm gold or bronze tones. SKU: 4200-355. Categories: Autumn, Gold Coast, Lighting. 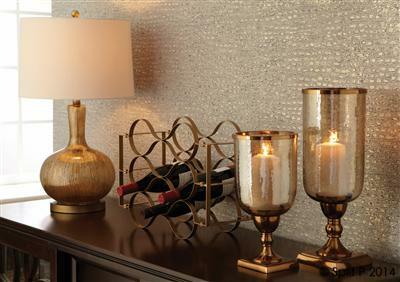 We simply fell in love with this gorgeous gold lamp! 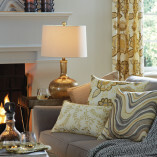 The picture looks good, but in person this lamp is even more fabulous! Strands of gold run down the inside of the glass base catching the light and reflecting back deep golden hues. 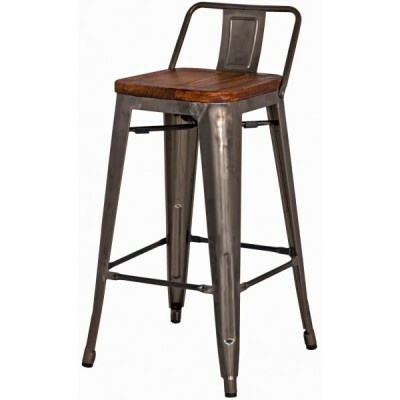 The unusual finish creates depth, texture, light and sparkle all at the same time! 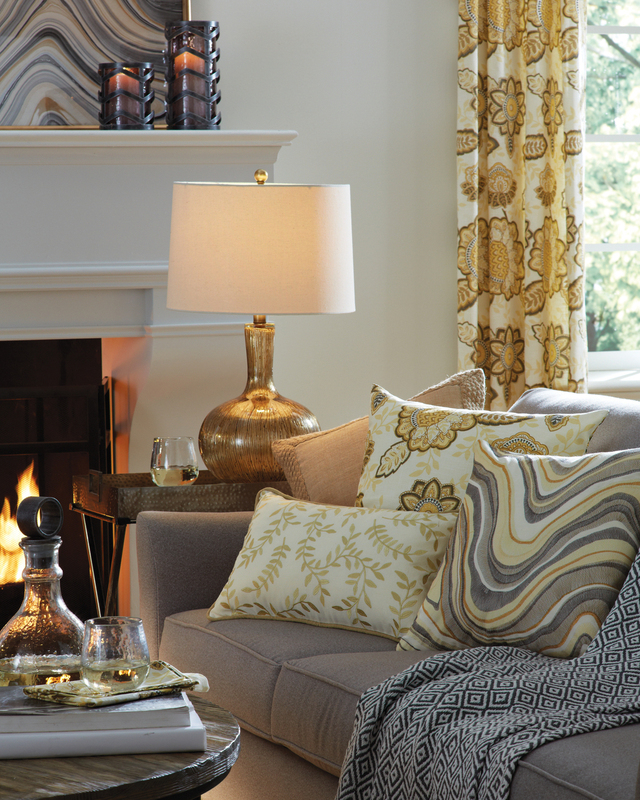 It’s the perfect lamp for rooms that require warm gold or bronze tones. 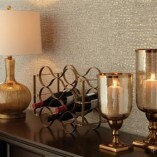 Gold striae lamp base is made of glass and is hand painted on the inside. Accommodates a standard 3-way bulb, maximum 150 watt. Measurements: 27″ tall, shade measures 15″W x 10″H.